Everyone knows that “race” is not a valid biological category, but merely a social construct based on particular historical and geographical facts, right? And we all know that America is a “post-racial” society with no lingering evidence of racism or prejudices ever since Obama was elected in 2008. So there must be very little to say or write about this historical artifact known as “race”. Despite these caveats, Chimamanda Ngozi Adichie has found a way to write an excellent 588-page novel about race and “blackness” (and other things!) in America called Americanah. Likewise, if you feel you have read too many interesting books and already know too much about African society and post-colonial history, do not bother reading her earlier novel Half of a Yellow Sun. In this review, I will give my thoughts on both of these books. Americanah, published in 2013, is the third novel of Chimamanda Ngozi Adichie, a writer from the university town of Nsukka, Nigeria. It follows the lives of two characters who start a strong relationship in high school in Nigeria, drift apart for many years, and meet again in Lagos as very different people. Ifemelu, the female protagonist, moves to America to attend a university in Philadelphia. She stays for 15 years doing various jobs around the Northeast and having a couple serious relationships with American men. Obinze, the male protagonist, goes to England and overstays his visa for many years until being deported back to Nigeria, where he becomes a wealthy businessman. Ifemelu’s story is the main part of the narrative, and her observations about race and lifestyle in America from an outsider’s perspective are the most interesting part of the novel. Desperate for money for living expenses in America, she has an encounter with a sleazy sports coach that leads her to break off all contact with Obinze out of guilt and confusion for almost the rest of the novel. After a period of unemployment, she finds a job as a babysitter for a wealthy liberal family, who sees her as exotic. She starts a relationship with a relative of her employer, a white guy named Curt, who takes her to high society parties and trips around the globe. After leaving Curt for reasons unclear to both her and the readers, she gets a job at a new fashion magazine, and by chance starts a blog about race in America called “Raceteenth or Various Observations About American Blacks (Those Formerly Known as Negroes) by a Non-American Black”. The blog, written anonymously, takes off and she is eventually able to support herself solely from writing (is there anyone who writes a blog who hasn’t dreamed about earning enough money from it to pay the bills and so quitting their day job?). She meets Blaine, a Black American professor at Yale whom she had sat next to on a train one time years earlier (she speculated that the seat next to his was the only one available on a busy train because he was Black), at a bloggers’ conference and she starts a serious relationship with him. He is a model of healthy living, virtuous behavior, and compassionate activism, and, like Curt, a good boyfriend to her. When she decides to break things off with Blaine as well, we begin to understand that she feels a pull to return to her homeland which probably involves the real love of her life, Obinze. The novel has a non-linear narrative that jumps backwards in time and between characters. It opens with Ifemelu in a hair salon in Trenton, New Jersey (where she lives in Princeton there is no African salon) preparing for her move back to Nigeria and undergoing a six-hour treatment for new hair braids done by a Senegalese immigrant. Obinze’s plan was to follow Ifemelu to America and enter university as well, but he was denied a visa after September 11th for unclear (but obvious) reasons. The ironic thing is that he was a huge fan of American films and literature his whole life and always planned to move there one day. When he was rejected, he accepted a research position under his mother, a professor, and got a visa for the U.K. He stayed there doing odd jobs and going through even worse financial difficulties than Ifemelu in America. Eventually, he made a deal to marry a woman with dual Angolan-British citizenship in order to gain a permanent visa and work permit. He saved money for months but was caught by the immigration police on the day of the wedding ceremony and deported back to Nigeria. He was introduced to a wealthy businessman who made him into a confidante and set him up with his own property dealings, after which he became a typical Nigerian “big man”. He got married and had a child. This is the point in which the paths of the two characters cross again towards the end of the novel. Of all their tribalisms, Americans are most uncomfortable with race. If you are having a conversation with an American, and you want to discuss something racial that you find interesting, and the American says, “Oh, it’s simplistic to say it’s race, racism is so complex,” it means they just want you to shut up already. Because of course racism is complex. Many abolitionists wanted to free the slaves but didn’t want black people living nearby. Lots of folks today don’t mind a black nanny or black limo driver. But they sure as hell mind a black boss. What is simplistic is saying, “It’s so complex.” But shut up anyway, especially if you need a job/favor from the American in question. Diversity means different things to different folks. If a white person is saying a neighborhood is diverse, they mean nine percent black people. (The minute it gets to ten percent black people, the white folks move out.). If a black person says diverse neighborhood, they are thinking forty percent black. More than a love story, this is an excellent novel with a wide range of interesting characters and real-life situations. The book is filled throughout with detailed observations and comments on race, immigration, education, women, and business. These observations are challenging, funny, empathetic, and wise, and show a huge talent and range of experience across three countries and cultures by the author. 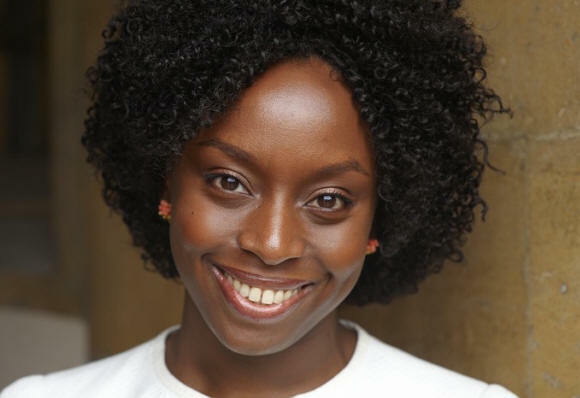 Half of a Yellow Sun, Adichie’s second novel published seven years earlier in 2006, is set in 1960s Nigeria. It jumps back and forth in time, between the first years of Nigerian independence in the early 60s and the Biafran War, or Nigerian Civil War, from 1967-1970. Its chapters also rotate between following the perspectives of three primary characters who are all interconnected. The book opens with the character of Ugwu, an uneducated village boy who becomes a “house boy” for a professor named Odenigbo. The second character is Olanna, the girlfriend of Odenigbo and a highly intelligent and beautiful woman whose father is a wealthy chief or “big man”. The third character is Richard Churchill, an English writer who moves to Nigeria to write a book inspired by Igbo art, and falls in love with Kainene, the non-identical twin sister of Olanna who is cynical, urbane, and focused on running her father’s businesses. Both parts of the novel, before and during the war, are equally strong and captivating. 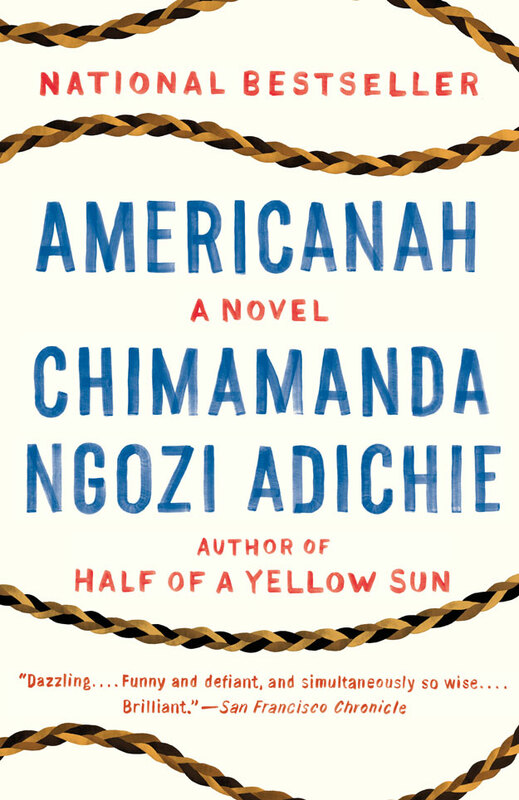 This book, much more than Americanah, is reminiscent of the great books by Chinua Achebe (the “African trilogy”) and Wole Soyinka (Death and the King’s Horseman, for example) in its rich description of the life and culture of the Nigerian ethnicities and the social and political effects of British colonial rule even after independence. Important themes that are well-developed include the contrast between village and city life, traditional and modern culture, the conflict between different groups such as the Muslim Hausa and the Christian Igbo peoples, and the horrific effect that war always has on civilians. In the case of the Biafran War, the new country of Biafra, declared by the Igbo leaders after a counter-coup and massacre by the Hausa people, was gradually starved into submission with the almost unanimous support or non-intervention of the rest of the world (including a rare Cold War point of agreement between the USA and the Soviet Union). Adichie makes this story totally compelling from the points of view of characters that we get to know and sympathize with. There is a 2013 movie based on the novel. It is interesting to see the visual settings and details of this post-colonial era, and some of the war scenes were well done. Overall, as we are always compelled to say after reading a very good book, “the film version is not as good as the original” (with notable exceptions that include “The Last of the Mohicans” and everything by Stanley Kubrick). I recently saw somewhere an article that called Chimamanda Ngozi Adichie a new “African Tolstoy”, or some very similar phrase. This is about the highest praise a writer could receive, in my opinion, though it is hard to believe it is totally warranted at this point. Like Tolstoy, Adichie writes a complete story from many different perspectives, taking us inside the heads and psychologies of various characters. She also paints a large and rich narrative canvas that makes us forget we are reading fiction and more like we are following the story as it happens. However, she still lacks the philosophical and psychological depth of Tolstoy, as well as the ability to describe common things in terms of the sublimity and universality of human experience. To fall short of such lofty standards is nothing to be ashamed of, rather to be compared to the likes of Tolstoy is, as I already mentioned, great in itself (just as we need not look down upon the plays of Ibsen or Shaw for falling somewhat short of the divine Shakespeare). I have not read Adichie’s other works yet, which include her first novel, Purple Hibiscus, and a short story collection, The Thing Around Your Neck, but they are on my future reading list. She is also an interesting speaker with several TED talks or other public speaking to her name. An especially relevant and poignant speech about Feminism was sampled in a Beyonce song. I will conclude by highly recommending these books to everyone, even or especially if you are a white American or European male like me who has had little personal experience with race and does not know nearly enough about the burgeoning country of Nigeria, which is on pace to be one of the biggest economies and most populated in the world in a couple decades. We can also say that it already has a strong literary culture to be explored.